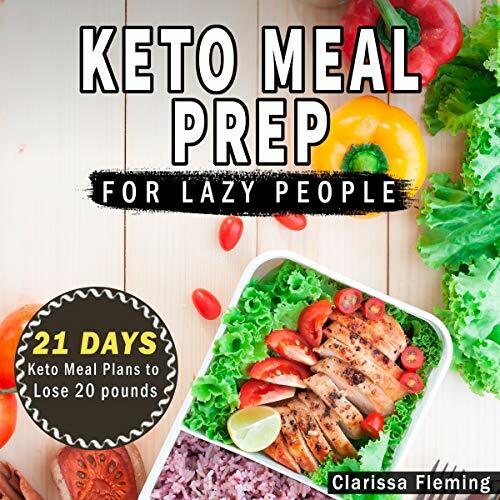 If you're one of the thousands of people on a ketogenic diet you already know and love all its benefits and the amount of energy a low-carb, high-fat diet can give you. Unfortunately, cooking healthy dishes usually takes time, and not everyone can spend 3+ hours in the kitchen every day to cook for breakfast, lunch and dinner. 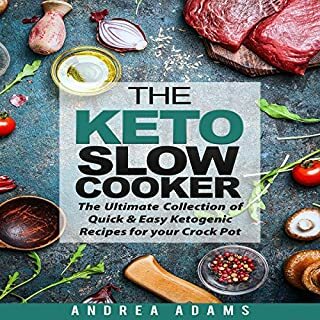 If you're looking for a way to save time while still eating delicious keto approved dishes, this book is for you. Food can be a struggle for many people. You want to eat a healthy diet, but it takes a lot of effort. After a long day at work, you don't want to go home and make a healthy meal, so instead, you grab some fast food. Even if you do have the time and energy to cook, what counts as “healthy”? Everyone has a different idea of what health food is. 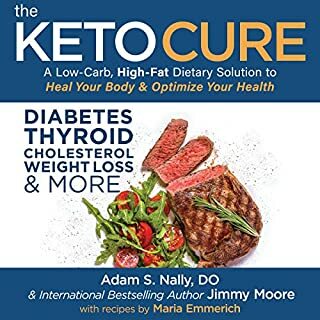 In this audiobook, we go into the ketogenic diet and explain how it affects the body and look into conditions it has scientifically been shown to improve in the treatment of. 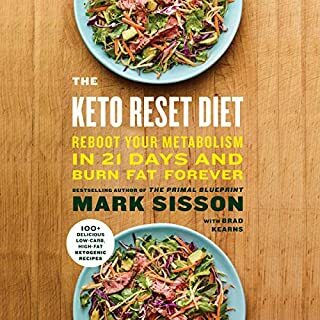 The keto diet is not only effective for weight loss and staying satisfied longer, but also in the treatment of epilepsy, dementia, tumors, heart health, and more! However, starting a diet is not easy because you have to learn a whole new way of cooking and eating. The diet begins to consume your entire life, which is not productive or mentally healthy. You don't want to live from one meal to the next wondering what you are going to eat. Thankfully, there is a solution! Meal prepping makes it so you only have a single day a week in which you have to cook, and the rest of the time, all you have to do is take a container out of the fridge and enjoy your delicious home-cooked meal. You can spend one evening assembling delicious dishes such as our jalapeno popper casserole, lemon butter chicken, cheesy zucchini gratin, cream-cheese danishes, or chocolate-chip cookie-dough bombs. They are easy dishes that can be stored in the fridge, making it so that for a full week, you don't have to worry about food. All you have to do is open the fridge and you will have a healthy and delicious meal ready for you. 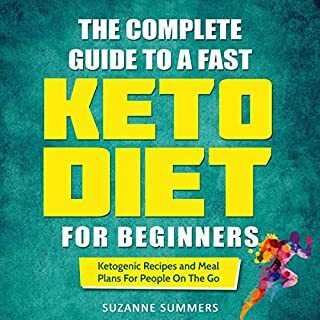 How the ketogenic diet works and its numerous health benefits. What the ketogenic diet involves. How meal prepping can help you. Helpful equipment that can assist you in meal prep. How to prep meals in advance. 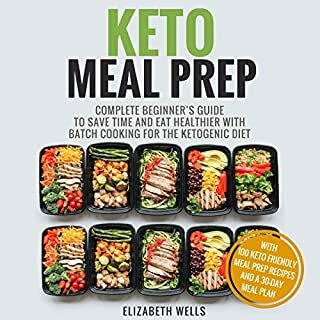 Meal plans for three weeks, or 21 days, on the ketogenic diet. 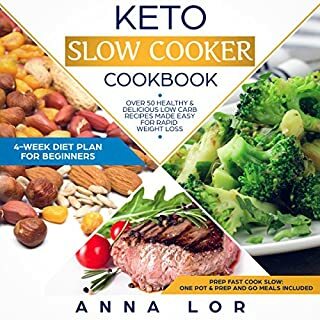 A total of 38 delicious and easy ketogenic recipes. Calorie, fat, protein, and net carbohydrate counts on all recipes. Tips and tricks that can lead you to success. This audiobook will be a valued part of your life. Don't wait any longer! Scroll up and click the "Buy Now" button to begin your journey!